How many times have you wanted to be part of the huddled group who are clearly discussing something far more interesting than Class 3's spelling list at school pick up? How many times have you repeated something you heard second hand just to feel part of the group? And how often have you heard a whisper repeat itself back to you - but this time more colourful and harmful than when you first heard it? Obviously never, we are better people than that, right? But you can't deny that actually, we all love a little bit of gossip. I can see you're leaning closer in to hear me already....! The Rumour is a fantastic story which plays out the chilling repercussions of a casual comment which then takes on a life of it's own, leading to devastating consequences. Kara has nailed the experience of Joanna, the main character, who is trying to fit in with the established groups of parents at the school gate and the way a remark, a passing on of mis-information, repeating an overheard conversation, can cause such damage. She captures the voices, the judgements, the growing sense of suspicion and harm effectively with dialogue and prose that pulls you into the story and like the rumour itself, refuses to let go of you until the very last haunting sentence. Sally McGowan, who murdered a boy when she was ten in 1969, has been released from prison and, despite the new identity, the residents of Flinstead seem set on uncovering her whereabouts. 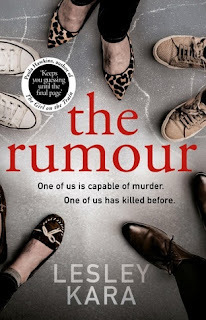 They know she's here - someone heard it from someone.... so it must be true.. Joanna doesn't want to add fuel to the fire, but somehow, in an honest attempt to gain friendships for her son, she finds herself repeating the rumour. Once Michael, the father of her son, arrives back on the scene, she can't help but tell him too. He's a journalist. He wants to find Sally McGowan and write a book about her - tell her side of the story. Honourable motives? Time will tell. Joanna is now privy to more information and as it becomes more clear - to the residents of Flinstead's minds at least - that McGowan is indeed living amongst them - accusations, suspicion, judgement and unkindness spread through the town faster than any twitter feed. Not only is The Rumour a great story about what happens when a town thinks a 'monster' is amongst them, it's a great observation about human nature, friendship, mothers and daughters, relationships and a dark warning about what happens when you search for a truth without being prepared for the consequences. It's also an exploration of 'monsters' and the debate about the treatment of children who commit terrible crimes. The characters are all well written, provocative in the right places, suitably flawed, many with dubious motives and behaviour which means several of them fall under your suspicion as the novel continues. Joanna is a compelling protagonist. There are moments when you find yourself sympathising with her, wondering what you might do in her shoes, feeling her pain as she watches her little boy try to fit in and then there are moments when you don't. It's all part of the author's skill in creating tension, suspense and the malicious spreading of blame which comes with a rumour. As Michael tries to track down Sally McGowan, a creeping sense of dread begins to build and as I turned the pages, not only was I gripped by the mystery of what actually happened to Sally and whether she was in fact guilty, but also gripped with a sense of threat and danger. Kara expertly begins to pull the threads together and the realisation of what truth might lurk underneath the rumour begins to dawn on the reader. 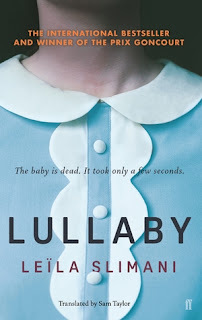 This is a real page turner, so believable, so authentic and so dreadful that it's impossible not to become as caught up in the whispers, comments, glances and suspicion along with Joanna. I don't want to spoil anything, but the ending packs a punch that will leave you as breathless as the first piece of gossip that left the women's mouths in chapter one. An exceptional debut. If you are looking for a very readable, intriguing story which will make you constantly question, challenge and doubt each character, then this is the book for you! ......And sshhh, don't say anything to anyone, but this book is going to be absolutely huge in 2019. I know someone who knows someone and they said the same - well, in fact I know loads of people who have said the same! Treat yourself with your Christmas vouchers and don't miss out on spreading this rumour! My huge thanks to the lovely Alison Barrow for a copy of this novel. This is my honest and unbiased review.